Here is a very remodeled Deep Canyon Tennis Club find that is move-in ready to call your own and start living now. It's been beautifully remodeled and updated through and through. A welcoming living room entry begins a comfortable and easy flow right on through the dining room toward double sliding dual pane doors to the east facing patio. Along the way you'll find a very well equipment kitchen with stylish granite countertops and newer appliances. This is a very well cared for condo by owners who spared no expense on the recently installed Furnace and Air Conditioning system and dual pane windows. Upstairs, come see the expansive mountain views spreading east and west from both bedrooms. Deep Canyon Tennis club is about the most active of Tennis, Pickleball and social communities anywhere in the valley. Recreational activities abound. People are easy to meet and friends easy to make here, some lasting a lifetime. Golfers enjoy $52 rounds at Desert Willow Golf Resort. It's a 2 Bedroom and 1.5 Bath Townhouse that is located close to the hub of all the action at the very active Deep Canyon Tennis Club. If you are looking for a home, seasonal home or a condo you can rent all or some of the time, this could be your perfect opportunity. Walk in and you will immediately be impressed by the light and spacious felling created by white floor tile, smooth ceilings and bright walls. Nicely appointed with all furniture and furnishings included It's easy to move in, comfortable and excellent for entertaining. Both baths have been nicely upgraded with new vanities and attractive granite tops. Enjoy carpeted bedrooms upstairs with ample mountain and valley views. Welcome the morning sun over coffee on the east facing patio. Deep Canyon is a very active Tennis, Pickleball and Social Community with 12 tennis courts, 6 Pickleball courts, 12 pools, fitness room, bocce and putting green. Golfers will enjoy $50 per round access to Desert Willow Golf Resort. See it soon. 3 bedroom/2 bath south-facing condo in the very popular Deep Canyon Tennis Club. D unit - single level on the 2nd level - no common walls. Attractively furnished w/newer furniture in living/dining. Large flatscreen TV in living room. Newer stove, micro & frig. New queen-size beds in master & one guest room; twin beds in 3rd bedroom. Newer wood laminate flooring throughout except newer tile in bathrooms, berber carpet in bedrooms. Newer toilets in bathrooms. Newer tile shower, sink, faucet & tile counter in master. Large private deck, just re-finished, has 2 umbrella tables for 4. HOA $514/month includes cable, water, trash, guard at gate, landscaping & building maintenance. Very friendly active club has 12 tennis courts, 6 pickle ball courts, 12 pools, 4 spas & 24-hour guarded gate. Close to everything the desert has to offer. One mile from El Paseo high end shopping & dining. Totally move -in ready.Townhouse condominium has been lovingly and tastefully remodeled. Ceilings have been resurfaced throughout. Fully tiled first floor.Newer plush carpet runs up the stairs to both bedrooms. Newly painted interior. High end remodel in both bathrooms.All windows and patio sliding doors are newer, double pane,low E. Awesome mountain views from the living room and the front bedroom. Wonderful mountain and territorial views from the patio. The patio itself has a sturdy,clean finish. Deep Canyon Tennis Club is one of the most active,friendly,and diverse in the valley. It features 12 tennis courts with two tennis pros,6 pickleball courts,1 Bocce court, 12 swimming pools,6 spas, a putting green, and a workout room. Varied activities too many to mention. The sport of tennis is celebrated in the community of the Deep Canyon Tennis Club, as well as a fun, easy going lifestyle. This gated neighborhood overlooks the beautiful mountains, and offers quaint condominiums with wonderful amenities. These condos have two and three bedroom editions with decks or private patios. All units are fitted with kitchens, fully equipped, as well as washers and dryers. And each has assigned carport parking with visitor parking available. Residents also have high speed internet access. Individual owners handle the real estate online and on a community bulletin board. Rentals are only offered on a monthly basis. The Deep Canyon Tennis Club is considered a wonderful Palm Desert vacation spot. It has twelve tennis courts and two tennis pros as well as twelve swimming pools, a putting green, fitness room, and clubhouse. There are also plenty of chances to play pickleball which is a sport that uses solid paddles to hit perforated polymer balls over the net. This community has six of the best pickleball courts in Palms Springs and players compete in tournaments and leagues. Pickleball is similar to many other racquet sports except the playing area is about a fourth the size of a tennis court. DTCS also has many clubs and special interest groups. There is hiking, biking, yoga, book clubs, cabaret singers, gardening, and golf. And trips to various attractions in Los Angeles and Southern California are planned periodically. This community is close to shopping and entertainment in nearby El Paseo Drive which is one of Palm Desert’s main shopping streets. It has upscale shopping with 150 boutiques restaurants, and art galleries. It runs parallel to State Route 111, the main route for the Palm Springs region. This area is often compared to Rodeo Drive in Beverly Hills because of its similarities. If you’re already working with a Real Estate agent, please utilize your agent’s website & direct expertise to aid in your home search. We are only able to directly serve our own clients. Thank you for your interest in the Deep Canyon Tennis Club community, and we wish you the best of luck with your Real Estate needs. Whether you are contemplating buying or selling a home in Deep Canyon Tennis Club, it is important that you hire the right team that fits your needs. We roll out the red carpet for buyers & sellers alike, and ensure you have access to us 24/7, as we aim to earn your business for life! 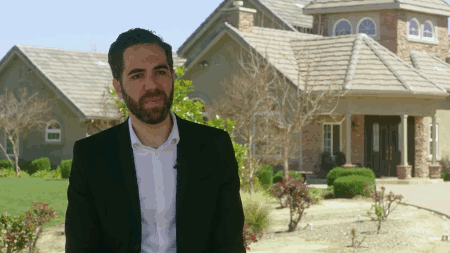 We understand the market well, and you will not find a more qualified Deep Canyon Tennis Club real estate agent to help you with all of your Real Estate needs! As a buyer, you will have access to Deep Canyon Tennis Club listings the second they hit the market, which gives you a leg up on the competition. As a seller, your home not only will be featured on one of the top Deep Canyon Tennis Club sites on Google, but we also will syndicate your home to hundreds of other sites, hold weekly open houses, send out postcards, and much more! We have helped dozens of buyers & sellers, and look forward to helping you as well! This 3 bedroom, 1 full bath, 1 three quarter bath home, located on Roy Emerson was sold recently on Wednesday, September 19th for &dollar;228,000. With 1,170 square feet of total floorspace, this home comes in at &dollar;194.87 per square foot. That's 4.97% lower than the neighborhood average. Originally built in 1978, this home sits on a 1,307 square foot lot (S). Listing provided courtesy of Suzi Byrd at Bennion Deville Homes.